This enables them to have to be aware of whats around them. Coaching points get players to just use left foot on first run, inside/outside keeping ball close all the time, then use right foot in same way. 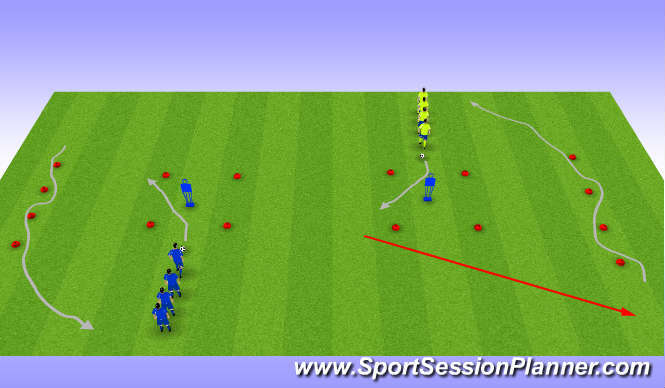 Get players to dribble towards the mannequin then do a step over and take ball out of side gate (between cones), then dribble to cones at the side, dribble between cones then go to the back of the queue. on approach to mannequin keep ball close to feet, excelerate on approach, look at transfering of bo weight as they step over then take ball out of gate with the utside of the boot, do the drill both ways so they&apos;re stepping over with both feet. 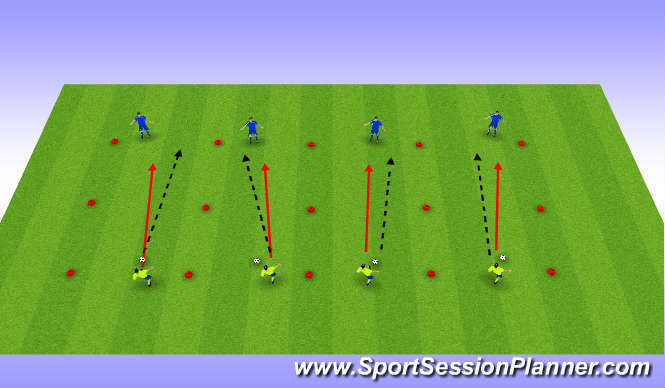 On dribbling through cones get them to use both feet keeping ball close to their feet. 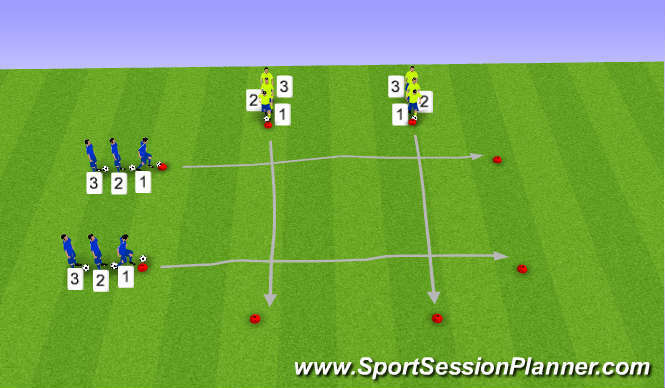 Using dribbling and step over skills get players to feed from 1 end to the other then close that player down, 1v1 so get them to try and get ball to the other end t score a point. Defending point of view, get players to close down quick then slow down as they approach then low down nd side on body shape. watch ball not player. 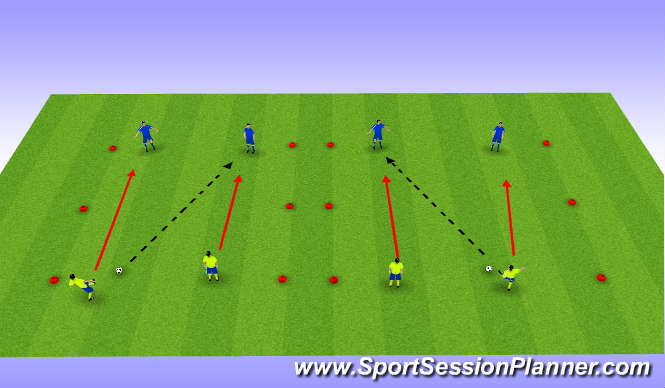 Attackers, decision maing, pass and move, quick passing or skill to beat a man. Defenders, work as a team, close down quick, slow down on approach, low down and side on, (show down).